OK-SAFE recently had the opportunity to interview Michael F. Cannon on their America in the Balance radio program. The subjects included the definition of insurance exchanges, federal funding grants, and why states should not implement exchanges. Podcast of the 4/3/11 interview here. 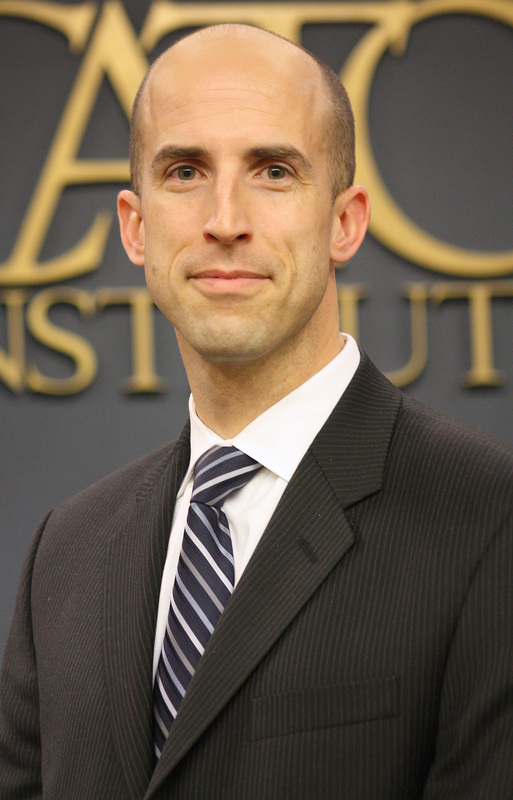 Michael F. Cannon is the director of health policy studies at the Cato Institute. Previously, he served as a domestic policy analyst for the U.S. Senate Republican Policy Committee where he advised the Senate leadership on health, education, labor, welfare and the Second Amendment. He is the author of many articles and opinion pieces, including Obamacare Can’t Be Fixed, and Now Is the Time to Dismantle It (which appeared in the 3/21/11 issue of National Review), ObamaCare: a Federal Takeover, No Matter Who Runs the Exchanges (at Cato@Liberty Blog), and US Healthcare: What Hath Obama Wrought? Once created, these bureaucracies grow and become a constituency – a constituency that lobbies for more power, owing their paychecks and power to more government. Grants follow the golden rule: The one with the gold rules. OK took the grant from the feds – guess who rules? Utah’s exchange has failed. By 2014 Utah’s exchange will either have to become an Obamacare exchange, as bad as Massachusetts’, or it will become defunct. Whether the state or the federal government sets up the exchange, rule making authority still lies in D.C.
More and more states are backing away from the exchanges. State-based exchanges are to be looked at as a taxpayer-funded, pro-Obamacare lobbying group. The states that are not setting up an exchange are trying to shape the future and will be better positioned economically in the future. States that implement their own exchanges will not have the flexibility to not comply with the federal requirements; the only flexibility states will have is to be more regulatory or to move to a single-payer system. The $54 Million Grant – who pulls Oklahoma’s strings? Click here to listen to the 4/3/11 Michael F. Cannon interview. OK-SAFE continues to urge legislators to resist using any grant money for the implementation of insurance exchanges, and to not add language to any bills this session that would allow for the creation of an exchange in Oklahoma. Note: Oklahoma did not join the Florida lawsuit. Oklahoma filed a stand-alone lawsuit, modeled after the VA lawsuit; and the individual mandate is the only subject. Most Oklahomans (and most Americans) objected to the idea of socialized medicine as specified in the Patient Protection and Affordable Care Act, (PPACA), aka ObamaCare. It’s companion law was the Health Care and Education Reconciliation Act of 2010. Collectively these two laws are referred to as the Affordable Care Act. It appears that the Henry/Fallin administrations, as well as the Oklahoma legislature, have been, and currently are, engaged in implementing the provisions of ObamaCare, as evidenced by the federal grant applications and legislation, while appearing to oppose ObamaCare via SQ 756 and the national lawsuit. There will be an open discussion/review of both the grants and the legislation paving the way for the implementation of ‘ObamaCare’ in Oklahoma at two meetings this week. OKC – Wednesday, March 16, 2011 – The Village Library, 10307 N. Penn Ave, The Village (OKC), Oklahoma. Time 6:30 – 8:00 pm. Tulsa/Broken Arrow – Saturday, March 19, 2011 – Heartland HQ Building, 1008-B N. Hickory, Broken Arrow, OK. Time: 10:00 am to 11:30 am. Currently, HB 2130 by Steele, is a key piece of enabling legislation dealing with the HUB board and the development of the Health Insurance Exchanges. HB 2130 removes the Insurance Commissioner from oversight of the exchange and puts in his place Dr. Terry Cline, OK Sec. of Health and Human Services, appointed by Gov. Fallin. This bill is being presented by freshman legislator Rep. Glen Mulready, (HD-68) who apparently agreed to carry this bill for leadership. Leadership has not done him any favors here – HB 2130 is not a bill one would wish to be associated with in the future. We are recommending a NO vote on HB 2130. We also suggest to Rep. Mulready that if he is anxious for approval that he might want to get dog – politicians make lousy friends.